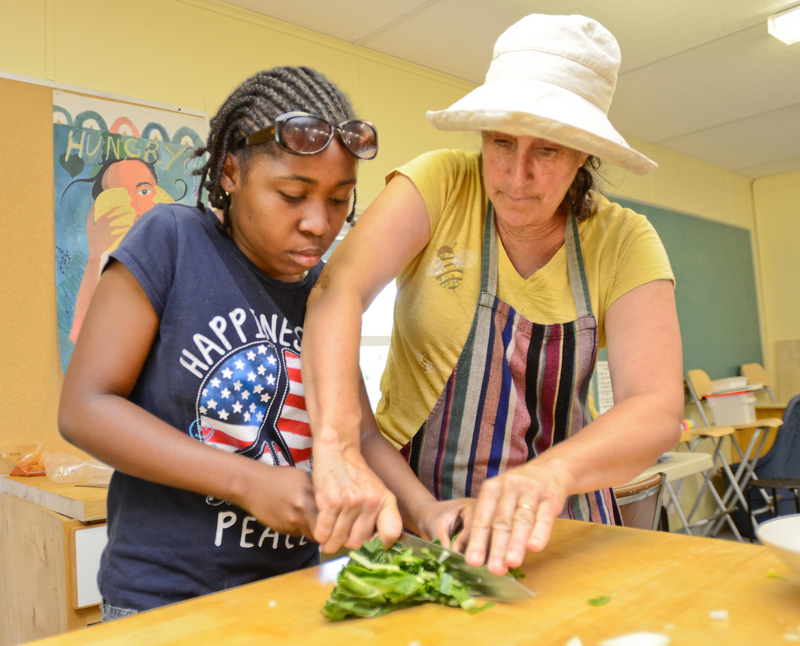 Teach your teens how to use a knife and cut vegetables for cooking. Batonnet; Translated from French means “little stick” and sometimes called french fry cut. The batonnet measures approximately 1/4 inch x 1/4 inch x 2-2.5 inches (6mm x 6mm x 5-6cm). It is also the starting point for the small dice. Julienne; Referred to as the allumette when dealing with potatoes, and sometimes also called the “matchstick cut” (which is the translation of “allumette” from French), the julienne measures approximately 1/8 inch × 1/8 inch × 1-2 inches (3mm × 3mm × 3-5cm). It is also the starting point for the brunoise cut. Fine julienne; The fine julienne measures approximately 1/16 inch × 1/16 inch × 1-2 inches (1.5mm × 1.5mm × 3-5cm), and is the starting point for the fine brunoise cut. Large dice (Carré); sides measuring approximately ¾ inch (2cm). Medium dice (Parmentier); sides measuring approximately ½ inch (1.25cm). Small dice (Macédoine); sides measuring approximately ¼ inch (6mm). Brunoise; sides measuring approximately 1/8 inch (3mm). Fine brunoise; sides measuring approximately 1/16 inch (1.5mm).